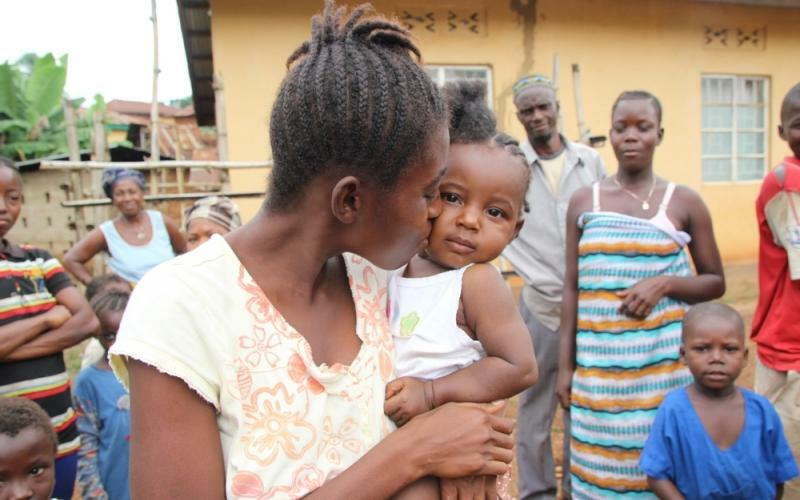 Connecticut Doctor Fighting Ebola Outbreak: "It's a Terrible Way to Die"
A 19 year old woman fully recovered from Ebola kisses her baby outside a Doctors Without Borders Clinic in Sierra Leone. 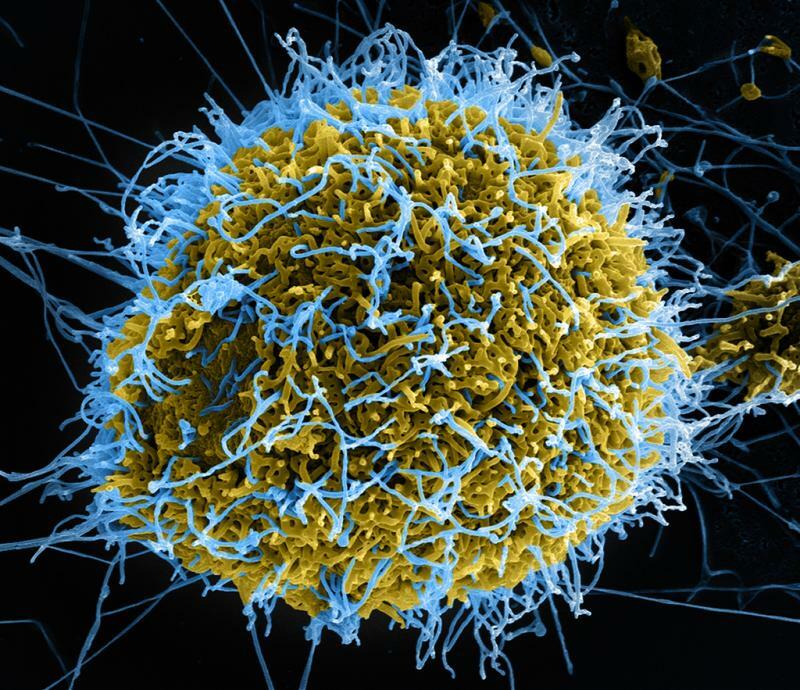 Colorized scanning electron micrograph of filamentous Ebola virus particles (blue) budding from a chronically infected VERO E6 cell (yellow-green). "Getting accidentally infected with the disease is one of the occupational hazards in doing the kind of job I do." A doctor from Southern Connecticut State University is sharing what he saw while spending time in Africa fighting the deadliest Ebola outbreak in history. John Nwangwu has fought the Ebola virus before, but he's never seen anything like this: an outbreak traversing four countries. 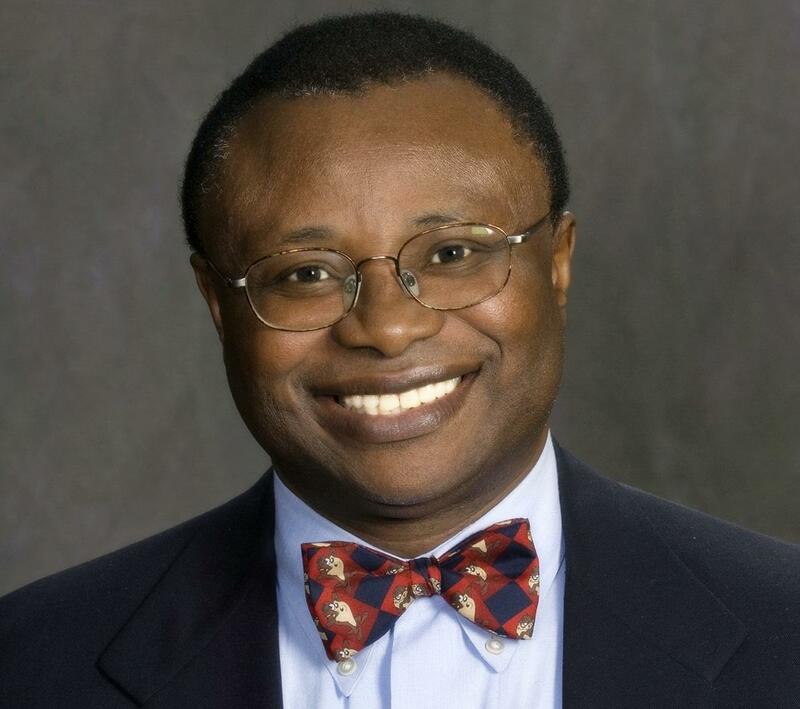 Nwangwu is a consultant for the World Health Organization who travels the world combating infectious disease. Since Ebola caught the attention of the W.H.O. in March, he's been back and forth to Africa, visiting hospitals in four countries and tending to patients suffering from the virus. Since March John Nwangwu, pictured above, has traveled to Guinea, Sierra Leone, Liberia, and Nigeria to treat ebola patients and provide technical support and advice to area health officials. "It's a terrible way to die," Nwangwu said, detailing how the illness can attack every organ in the body, causing massive bleeding, and eventually sending a victim into a state of shock. "When you're in shock, it's sort of like you're in a limbo," he said. "You're not alive. You're not dead. The organs cease to function, so to speak." The W.H.O. estimates more than 3,000 cases of Ebola, but Nwangwu said the actual number is probably much higher due to spotty reporting. 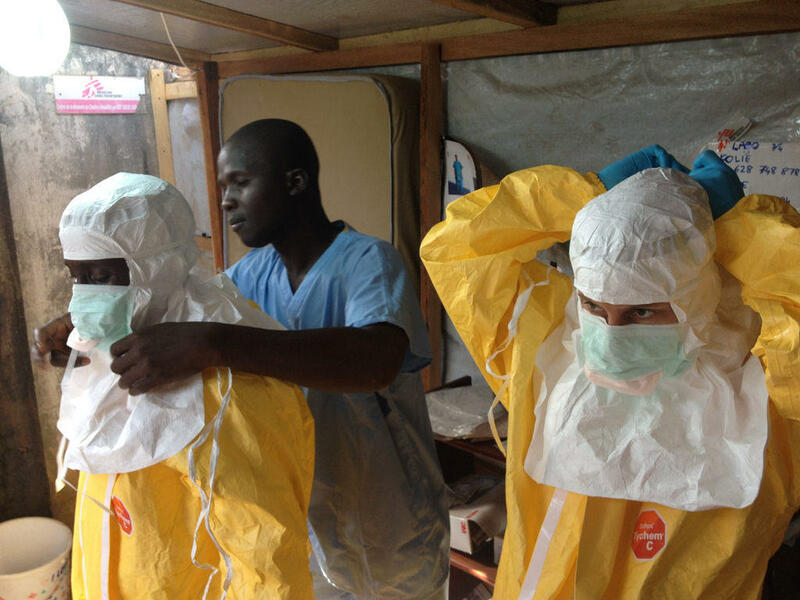 Aid workers must avoid contact with any bodily fluids from infected patients. Nwangwu said combating the disease presents many other challenges: coordinating the responses of different countries, educating locals about the virus, and sequestering the infected. "In the area, the closest hospitals were quite a distance. So, eventually, we had to set up makeshift isolation facilities in buildings," he said. "Your challenge is to try to keep them as comfortable as you could and make sure that you are also protected from making direct contact with any fluid from the patient," which is how the disease spreads. Nwangwu said he's still on call and could get sent back to Africa to deal with the virus at any time, but after all he's seen, would he want to go? "I tell people we're all going to die anyway, so what better way to die? I think it's a significant way to make a contribution to humanity in a global sense," he said. "I don't necessarily worry about it. Every job has its own occupational hazard, and it just happens in this case, getting accidentally infected with the disease is one of the occupational hazards in doing the kind of job I do." In the past several months, Dr. Sheik Umar Khan has been a leader in the fight against the deadliest and largest Ebola outbreak in history. Khan, 39, has treated over 100 Ebola patients in Sierra Leone. He's a "national hero," the country's health minister said Tuesday. 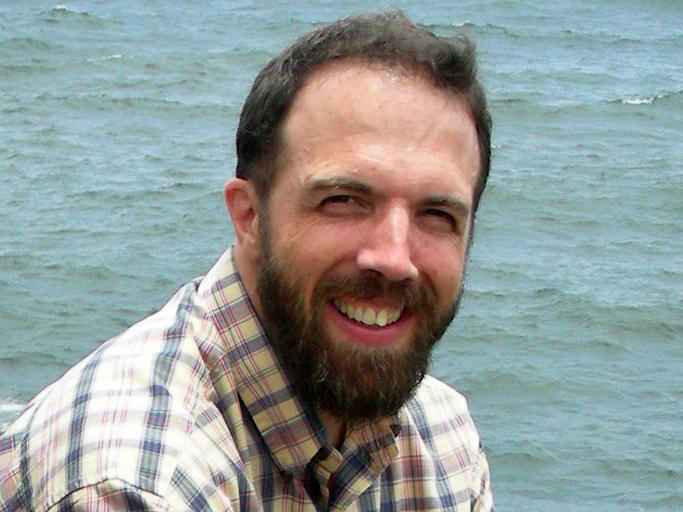 Christian aid group SIM has identified the third American to catch the disease as Dr. Rick Sacra. The 51-year-old family physician from Massachusetts has been working on and off in Liberia with his wife, Debbie, since 1995. He joined SIM in the late '80s and between 2008 and 2010 was the acting medical director at the group's ELWA Hospital in Monrovia. 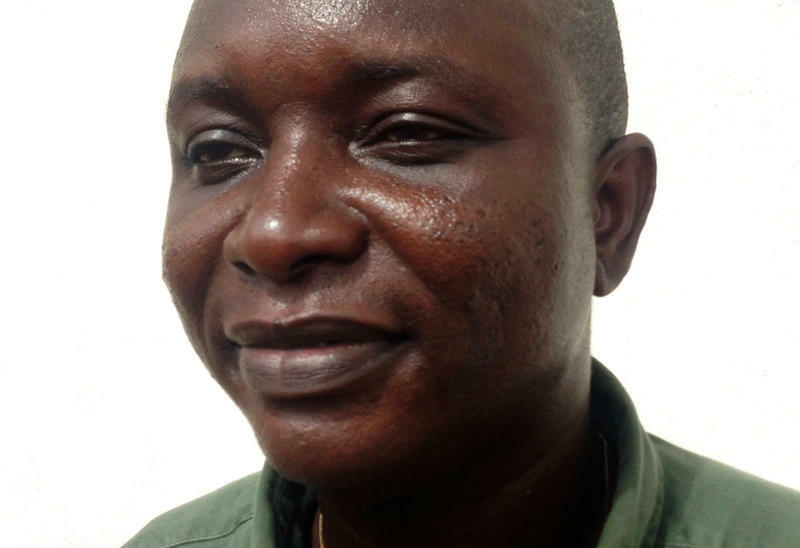 He had previously served as the group's Liberia director for several years.